I have been an obsessive-compulsive landscape photographer since 2012. Living on the very edge of Dartmoor has meant that I have spent most of that time scouting the park for new locations or compositions. Dartmoor is very much a working landscape with much of it devoted to farming in one way or another, and although best known for it’s tors and perhaps its prison, there is much moor to this national park than meets the eye. Of interest to me are misty and foggy conditions, perhaps not only for its visual splendour but also for the challenge, to be in the right place at the right time. 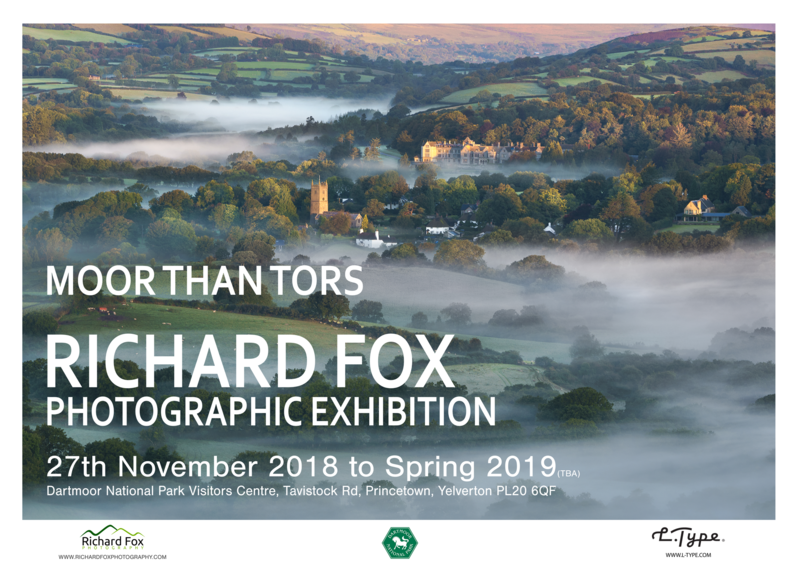 Many of my fellow photographers, including Alex Nail, who also cut his teeth on Dartmoor, have encouraged and supported me to present my work as an exhibition. Many photographers have said that curation was the most challenging aspect for them, when exhibiting their work, and I certainly agree. It can be hard to choose your favourite images and be objective but also perhaps have your audience in mind to; not everyone likes images of chunks of rock. This is the culmination of my work and a celebration of perhaps the lesser known areas of both the uplands and lowlands. I have had the kind support of L-Type (http://www.l-type.com) who have sponsored the production of some fantastic 3×2 and panoramic 400dpi C-Type prints (by Lumejet) which I have mounted and framed. The exhibition will run for 4 months at the centre and will include a talk on my photographic journey / obsession. Limited edition prints will be on sale and via my website which will also be updated with further information.